Neatly tucked above Adams Morgan, Mt. 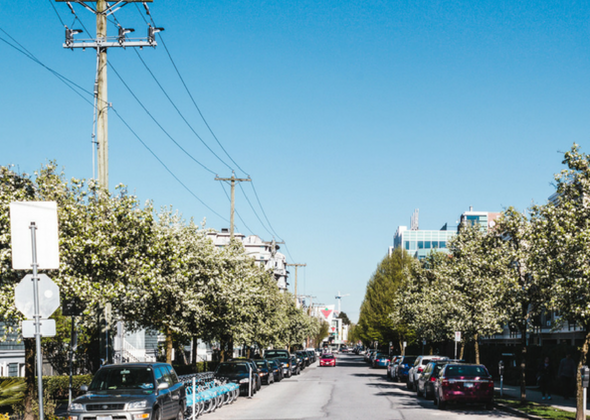 Pleasant is an up-and-coming, culturally diverse neighborhood whose residents appreciate the small-town feel and independent businesses while loving its proximity to downtown. The neighborhood was voted one of the best for millennials in the DC area, as well as one of its most diverse. An eclectic community, Mt. Pleasant has transformed itself from a streetcar suburb into an architecturally diverse pedestrian-friendly hub with a distinct character. 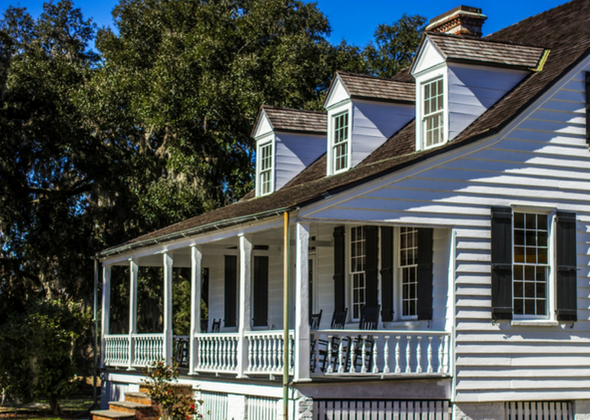 The neighborhood dates to 1727 when a large piece of land was granted to James Holmead. First named Pleasant Plains then Mount Pleasant Village, today it’s simply known as Mt. Pleasant. It became part of “the district” in 1791. Something people notice upon entering the community is its lack of an orderly grid of streets that’s typically found through the rest of DC. That’s because for decades the village was separate from the rest of DC by rural land. The neighborhood began to rapidly change in the 1950s when it became racially segregated. Following a period of decline after the 1968 riots, vibrant communities established by immigrants from El Salvador and the Dominican Republic helped the neighborhood turn itself around. In the 1980s and 1990s, affluent professionals who loved the historic homes and easy access to their downtown jobs made their move into the community. Today, the neighborhood is a terrific mix of all three eras with white, black, and Hispanic populations each representing about one-third of the people who call Mt. Pleasant home. Like most of DC, there’s plenty to do in Mt. Pleasant. Check out the Farmer’s Market every Saturday and then head over to Rock Creek Park for hiking, walking, or a visit to the nature center or planetarium. Most of our clients truly see their kitchen as the heart of the home. For them, it’s so much more than a room where meals are prepared and enjoyed. Today’s modern kitchens have evolved into comfortable spaces that are perfect for entertaining family and friends, hanging out with the kids, or just relaxing with a cup of coffee or glass of wine. What’s your unique concept of the ideal kitchen? For some people, it’s massive amounts of storage with everything neatly tucked away; others yearn for gleaming chef-grade appliances or cozy nooks. No matter how you envision your perfect kitchen, Winthorpe Design & Build can bring that vision to life. Total re-do or kitchen update, our expert and experienced team works with you every step of the way, lifting the burden of remodeling off your shoulders so that you’re free to have a totally enjoyable experience. We’ve learned that what most people want is a kitchen that caters to their family’s needs and reflects their individual style. We take on the planning and designing of your kitchen and make it possible for you to enjoy the fun of choosing materials, color palettes, fixtures, and furnishings. 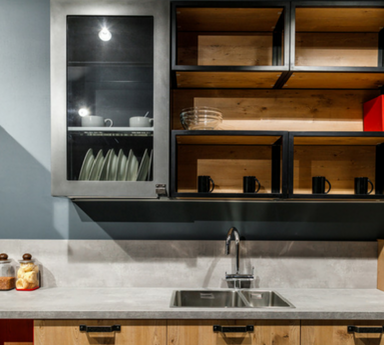 From smart lighting to custom countertops, our nearly 30 years of industry knowledge and associations will help you find exactly what you’re looking for. 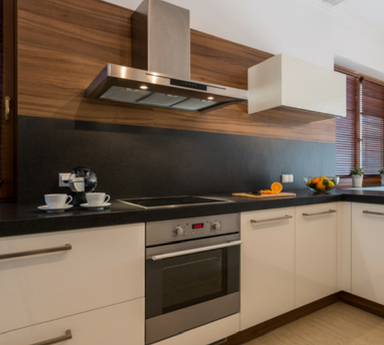 There are many ways to get the process started on your kitchen remodeling project. We suggest you collect pages torn from magazines, build Houzz Idea Books, and create Pinterest boards that will help our team determine how to best design the kitchen you want. We also look at your existing kitchen to explore all possible remodeling options. We help you decide if it makes sense to remove walls and where windows and doors might be added. And we do it all while keeping the architectural integrity of your home in mind. 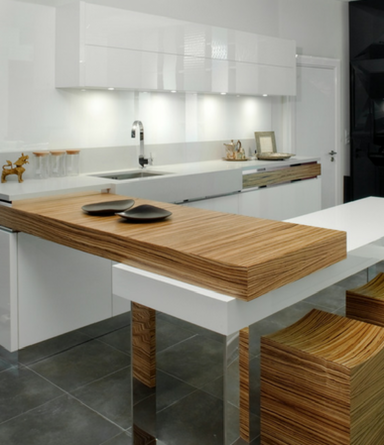 If you’re looking for simple yet elegant kitchen design, Winthorpe can help. 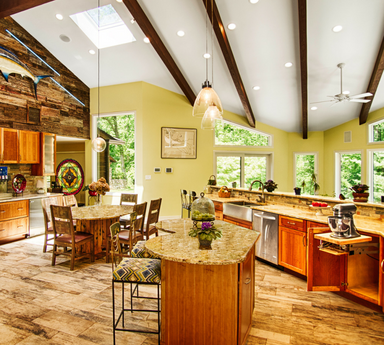 Modern or traditional, open floor plan or closed room, the results will always be exceptional. Beautifully designed and high functioning, we’ll help you rejuvenate the heart of your home, creating the perfect kitchen for cooking, entertaining, and bringing loved ones together. 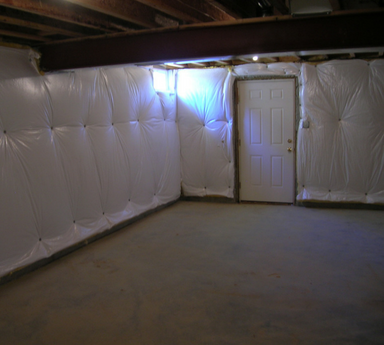 In many homes, particularly older ones, the basement is an unused and underutilized space. 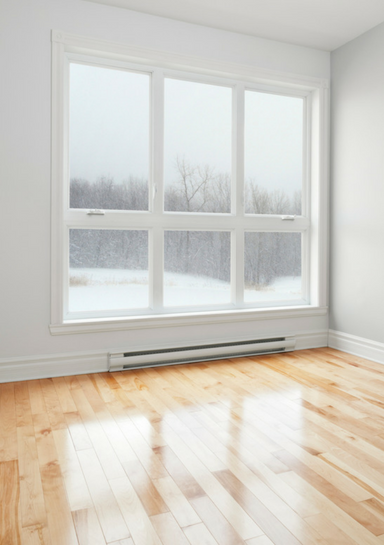 But you can put this expansive area to good use by investing in a remodel that adds value to your home and years of enjoyment to your family’s life. A remodeled basement can be the key to increasing the functionality of your home, letting you infuse new life into a space typically reserved for off-season items and boxes of castoffs. Our designers will show you how to create a beautiful new lower level that seamlessly blends with your home’s existing architectural style. Whatever you have in mind –a home theatre/wet bar combo, a guest suite, a home office, or home gym – our design team helps you select the fixtures, finishes, cabinetry, and other materials that perfectly complement your family’s lifestyle. The ideas are endless, and we’ll help you discover a layout and design that gives you everything you’re looking for. 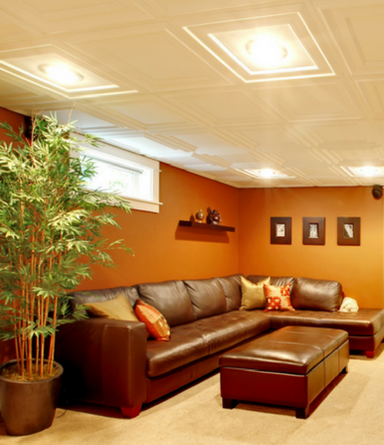 You can trust Winthorpe to deliver your remodeled basement on time and on budget. Our approach to lower level design ensures you end up with an innovative space that blends sensible functionality with beautiful aesthetic elements. All our projects are run in a professional way that guarantees you’ll have an enjoyable remodeling experience.